Boston, NYC and so on. . .
Four weeks into the Tour4ACure and so far to go! Thank you all that have come to see a show, donated online or volunteered your time to the campaign. 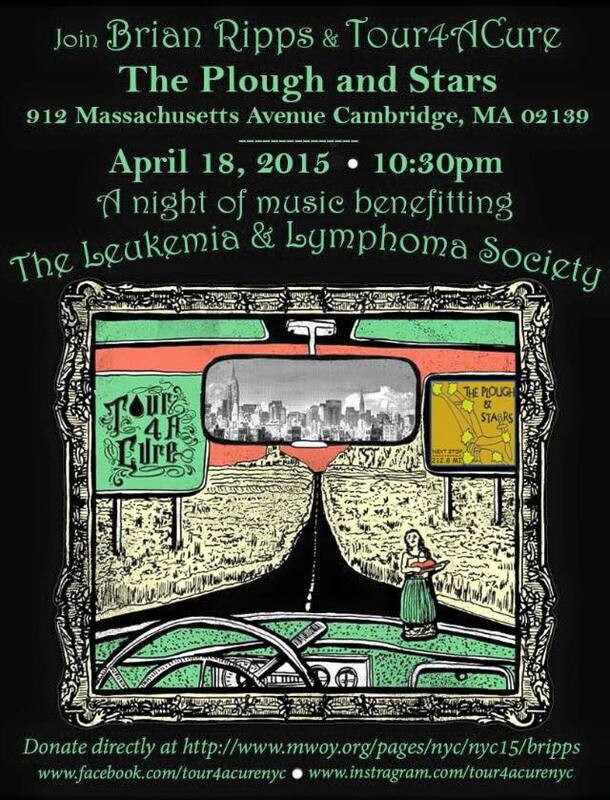 This truly could not be done without the love and support of everyone that has participated thus far. 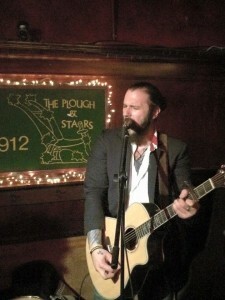 The above picture was taken this past weekend at The Plough & Stars in Cambridge, MA. What an amazing room and incredible group of people to share an evening of music with. I have to thank the Clippertones for playing such wonderful hosts! Upcoming are a few events here in NYC before heading out to Baltimore, Nashville and Chicago! Please keep your eye on the calendar and continue following the campaign on the various social media outlets so that we can maximize our opportunities to share music and good vibes with you! See y’all tonight at Turtle Bay! 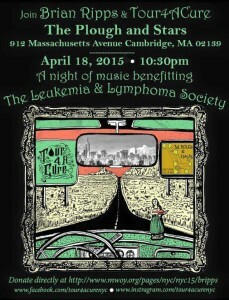 The Tour4ACure is well underway and ready to make our third stop up in Boston this coming weekend. It has been such a wild ride to this point and I can’t wait to see what’s to come. 3 full weeks into the Man of The Year campaign the support has been absolutely overwhelming. We are chipping away at our ultimate goal of $150,000 and hope you’ll participate in any way you can! Thank you all so much for being by my side throughout everything. I can’t wait to share more photos, memories, songs and hugs with everyone at home and on the road!